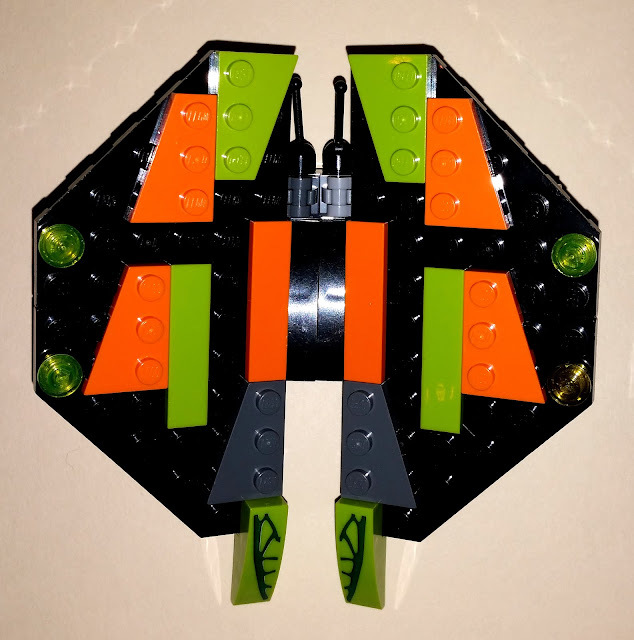 Maybe it's because the weather is turning, but I really wanted to make a Lego butterfly today. After playing around with a bunch of ideas, I decided to go for a symmetrical neon look. 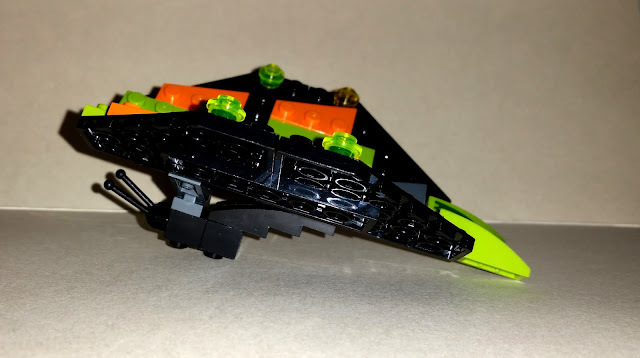 If you have eagle eyes, you might notice that the wings are attached to the body on hinges, so you can re-position them. Without this feature, it would have had almost a 2-D quality - flat, straight wings coming off the body. The hinges actually really make the design: by being able to angle the wings, it really looks more like an actual butterfly.